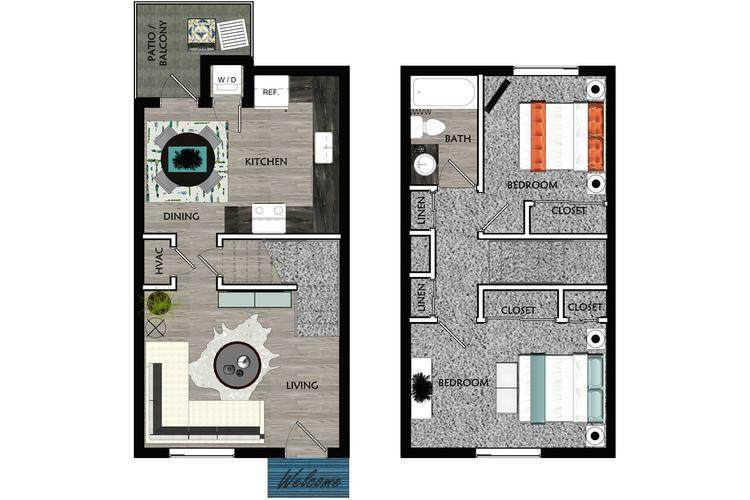 The Vogue is our extremely popular two bedroom floor plan. This floor plan offers great privacy with both bedrooms upstairs with plenty of additional closets for storage. Enjoy the wood-style flooring on the first floor and the convenience of its washer and dryer. Spend the evenings out on the Vogue’s private screened in patio right off of the kitchen with stainless steel appliances, new white kitchen cabinets and granite-style counter tops. The Tempo is our spacious, first floor, two bedroom featuring a spacious open concept living and dining area. This floor plan has views of its private outdoor patio all the way from the fully updated kitchen, offering stainless steel appliances, new white kitchen cabinets, and granite style counter tops. 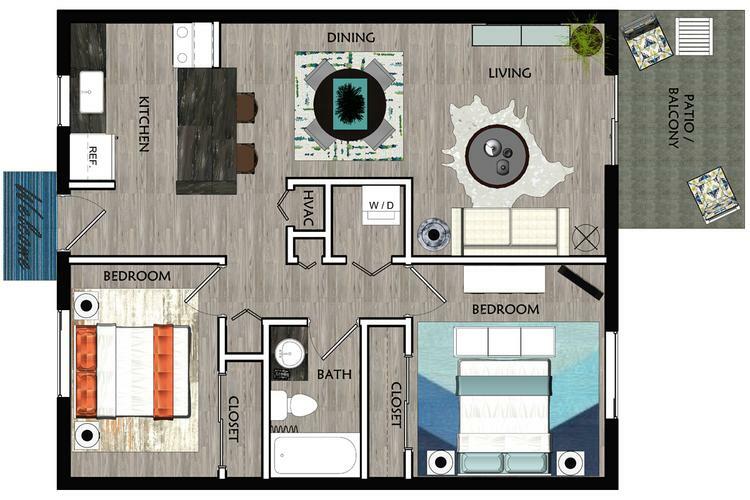 This modern two bedroom will include wood-style flooring throughout and a washer and dryer.